Please scroll down to complete and submit the online booking form. Alternatively a fillable pdf form may be downloaded here and returned by email. Or post. You are cordially invited to the 2019 Annual Reunion to be held on Saturday 23 March 2019 at Upton Court Grammar School, Lascelles Road, Slough SL3 7PR from 11am to 5pm. We hope you will be available on that date and that you will make a note in your diary to attend. This will be a wonderful opportunity to meet friends and recount shared stories. The main building of the school has undergone a significant transformation in the last year with more planned before the Reunion and this will be a great chance to see the improvements – guided tours will be available. There will be an extensive display of items from the archive, and in the computer room, members will be able to view the on-line archive, with assistance to help you find yourself in a long school photograph and to add names where appropriate. There will also be the formal AGM where you will hear about the ongoing work of the Old Paludians Association. This year has been another with many important developments including the relaunch of our website. The price of £15.50 is for all food and drink throughout the day. You may opt to have only tea/coffee and biscuits for £3.00 if you so wish. There will be a raffle with the draw to take place after lunch. Donations of raffle prizes would be especially welcome. Below is an online booking form to indicate whether or not you will be able to attend the Reunion. Please do let us know if you can or cannot attend. The reply is important for us to gauge numbers and plan for the event. The Committee would welcome new members, particularly from Slough High School. 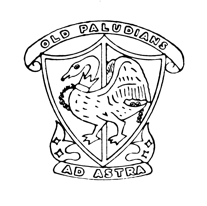 If you are interested in joining, please contact our Chairman, Ron Fidler (e-mail: ron.fidler@oldpaludians.org), or make yourself known at the Reunion. To encourage maximum attendance, we would appreciate it if you could share this invitation with any friends, peers, and teachers with whom you are still in touch. Those that are not yet members of the Old Paludians Association are also welcome to join us by following the link at https://oldpaludians.org/membership/. The Annual Newsletter is published shortly before the reunion. Members are invited to provide contributions. The deadline for inclusion in the print edition has now passed but please e‑mail your news items and interesting stories for the Web edition to reach Bob Moss, the editor, at editor@oldpaludians.org (or post: 8 Argyll Road, GLOUCESTER. GL2 0QR tel: 01452 417764). Payments for the annual Reunion largely cover the cost of catering at the event. The Old Paludians Association is only able to keep going thanks to the generous support of our members. As always, we would be grateful to receive any contributions to help us maintain our community and continue to support the school. If you would like to donate, please use the reply form to do so. Your generous donations last year that enabled us to make donations to the school. Details of how 2018 donations were used will be provided at the AGM and on the website. It’s essential for us to ensure that our contact list remains up-to-date so that we can continue to reach out to you. We would appreciate it if you could complete and submit the reply form below whether or not you intend to come to the Reunion. Please endeavour to email us if at all possible so that we can minimise use of paper and postage. Please complete here and submit. Have you changed address since March 2018? I would like to continue to receive future correspondence by email. Have you changed email address since March 2018? I enclose a donation for the funds. We would very much appreciate volunteers to help on the day. This price includes tea/coffee all day and tea and biscuits in the afternoon. Number of Meat and Number of Veg lunches if both selected. Please see below for payment options. If you wish to pay securely online please use the donation form below. If you wish to make a donation as well please add the total for the day to the donation. Many thanks. Your kind donations are very much appreciated and are only ever used to support the work of the Old Paludians Association. If you would like to make a donation to support the work of the Old Paludians or a payment please complete the secure form below. Thank you for choosing to make a donation or payment to the Old Paludians Association. Please enter an amount below in £ Pounds and press the "Pay or Donate" button. You will then be taken to a secure checkout with a direct connection to our credit card processor Stripe. To ensure your security, the OPA neither sees nor stores details of any credit cards. All donations are used exclusively to support the work of the Old Paludians Association. To ensure donations are properly made, please confirm your connection with the Old Paludians Association or the reason for your donation. This is required.